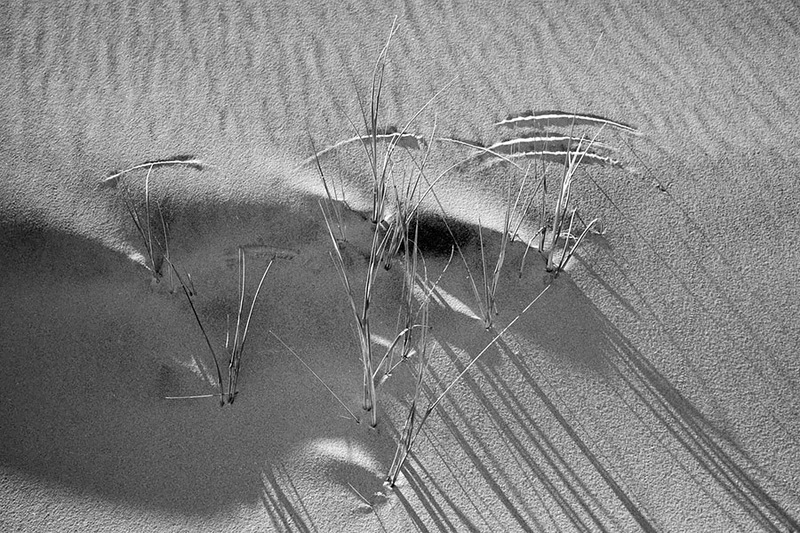 I was walking around the desert and saw this design with windblown plants in the late afternoon sun. The dunes are part of the Mojave Desert in Baker, California. I used a borrowed Leica M4-P and Agfa 25 black and white film.